...this is fun, Roy. 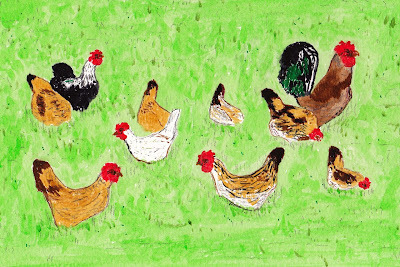 I love roosters and chickens and you've captured that milling about and hunting and pecking that they do. Love the style...as always. Hey Roy... I just noticed this post....it was right across from where I was answering a comment on my blog, in my following column !! That is a great painting...my daughter would love that hanging in her kitchen!! Thanks GG, great minds think alike. 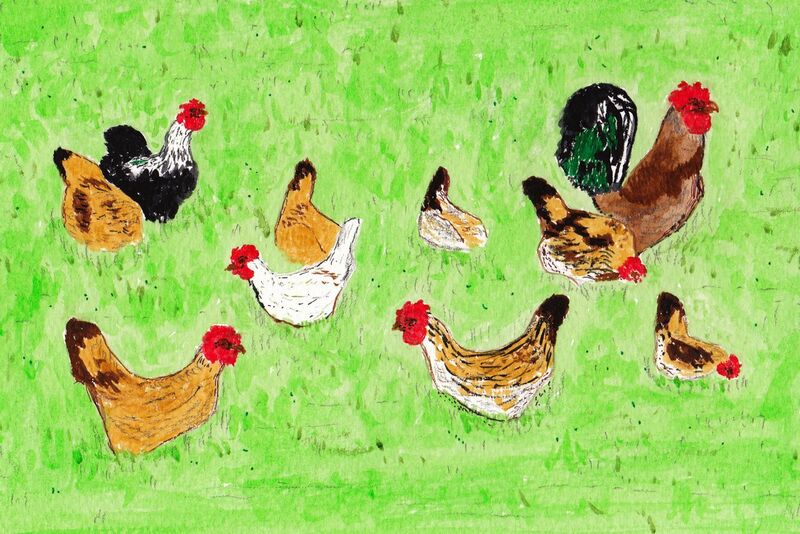 I see T-towels, trays, cake tins, mugs, aprons, a whole kitchen full of gorgeous bright poultry:) Really lovely Roy!